Got Rats? Join The Club Business is booming for East Coast exterminators as residents are seeing rats in new places. Experts blame human behavior and mild winters. Lorrie Scheppler, a Cape resident, had a rat problem in her apartment in West Dennis, Mass. 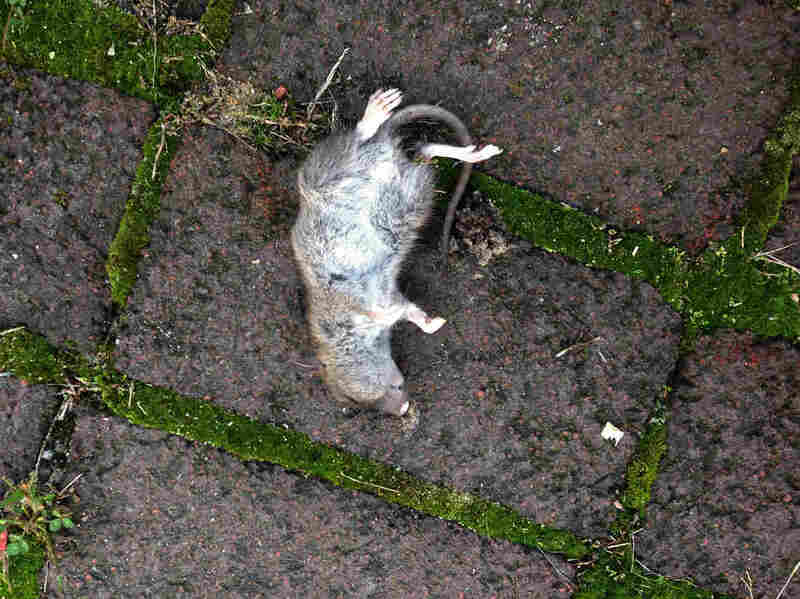 East coast residents are seeing rats in new places. On Cape Cod in Massachusetts, rats have moved from dumpster denizens to household pests. For people like Mike Travers, an exterminator with EcoGeek pest control, this means that business is booming. While no one's counting the rats up and down the east coast, Travers says he's seen a definite uptick in the Cape's population over the past five years. These days, he says his company goes out multiple times a day to address rat problems at peoples' homes. "This is something that's new," he said, checking traps at a home at the home of Janice and Tim Schofield in Barnstable. "I would say probably 80 percent of my rat calls are for residential homes." The Schofields have been rescuing goats for the past six years, and they've converted their backyard into a pen. Janice Schofield said they hadn't seen any rats on the property until earlier this year, when she started noticing rats in her backyard and in the shed where she keeps hay. "That's what freaked me out is that they were bothering the goats, and the goats were coming out of the shed, so that's when I said I've got to buy traps," she said. And that was when she hired EcoGeek. Mike Travers, exterminator at EcoGeek pest control, checks on rat traps. Travers noted that it's typical these days for rats to be attracted to suburban yards as people become more interested in backyard birding and hobby farming. "Some of those things are cultural, we get backyard chickens, backyard goats...and that is making food more available to rodents," Travers said. But there are also bigger factors at play. Bobby Corrigan is one of the country's premier rodentologists, and has been studying rats for the better part of 30 years. He said the entire east coast has been experiencing a surge in the rat population. He attributes it to the recent mild, shorter winters. The shorter winters allow the rats to reproduce more often. "[The rats] shut down [their] reproduction during the really cold months, where it's snow and ice and sub freezing temperatures," Corrigan said. "Well we haven't had those like that for a whole decade. We hypothesize that the city rats are likely getting in another litter." Rats can carry a host of diseases, from bacteria they pick up or through fleas that inhabit their fur. But Corrigan added that humans' aversion to rats is also partially an emotional reaction that goes back centuries. Fire Ecologists Say More Fires Should Be Left To Burn. So Why Aren't They? "You know you never heard James Cagney say you dirty mouse...we are somewhat hardwired these days to be afraid of this animal and hate it," he said. He wanted to remind people that rats have more in common with humans than we'd like to admit. "We know that rats they experience emotions, rats will learn very quickly, they will make plans just like we do as humans, they will make decisions," he said. "We now know through research that rats even regret making bad decisions." To keep a rat population at bay, Travers says people should be careful not to feed the birds year round, keep any backyard animal pens clean of food, and make sure that trash is stored in sealed receptacles. "I always say if you want to figure out what's going on with rats, hold up a mirror," Corrigan said. "Many times rats are barometer reading of the environmental health that we control, with our refuse and clutter and backyards." 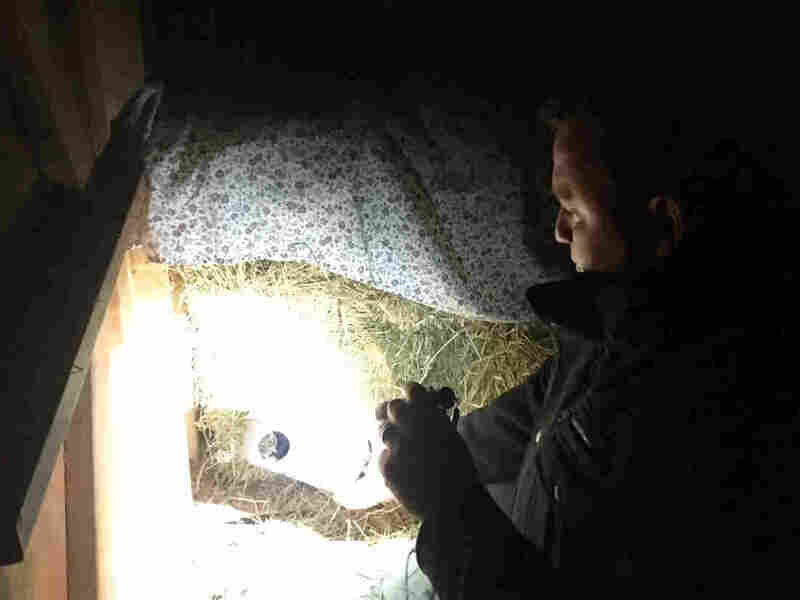 For Janice Schofield, this has meant keeping her goats' hay covered, doing regular pen maintenance to clean up droppings, and making sure they don't spill their food when they eat. But she's accepted that some aspects of raising animals will mean other, less wanted animals may be attracted too.